If you plan to buy skis, snowboards, bindings, boots or other equipment, there's no better place to get expert opinions, compare prices & even demo the equipment before purchase than at ski resorts like Breckenridge, Keystone & Copper Mountain. 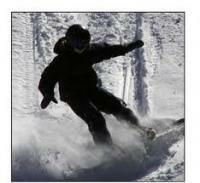 You'll also find a great assortment of ski & snowboard rentals with vacation package rates. Services like ski storage & rental delivery are also available.